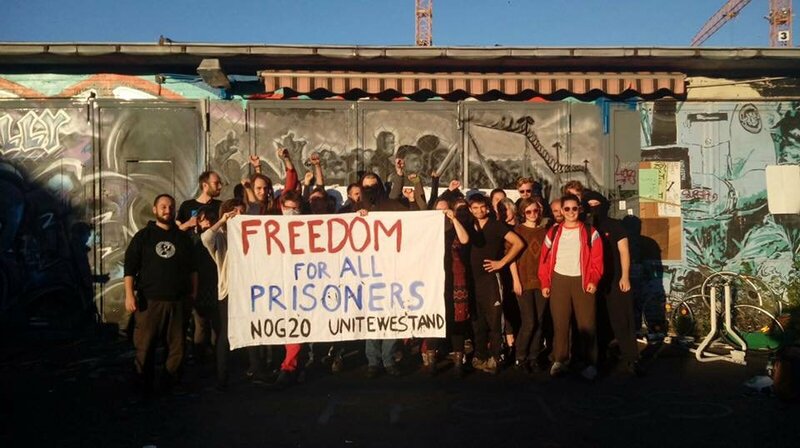 What is happening to Fabio and other activists, arrested during the no G20 protests and still detained in Hamburg, has far long overcome the judicial harassment. Trial lenghtiness, charges pressed with conscious delay, arrests based just on policemen deposition confirmed, continual attempts to obstruct the legal team and to prevent the family support. These are just few features of an issue which is turning always more into a real and proper revenge of the German goverment against who, down the streets, brought the political failure of the summit on. A revenge carried out especially against non-german citizens. In particular, the story of Fabio Vettorel, a 18 years old activist from Feltre at his first international demonstration, shows many features of infringement of the most basilar individual rights, beyond remarkable judicial controversy. Fabio’s trial will begin next Monday, while Alessandro’s, one of the other six Italians arrested still detained, one will take place at the end of the month. This is why on Saturday 14 October in many italian and german solidarity initiatives towards Fabio, Alessandro and the others arrested showed up. 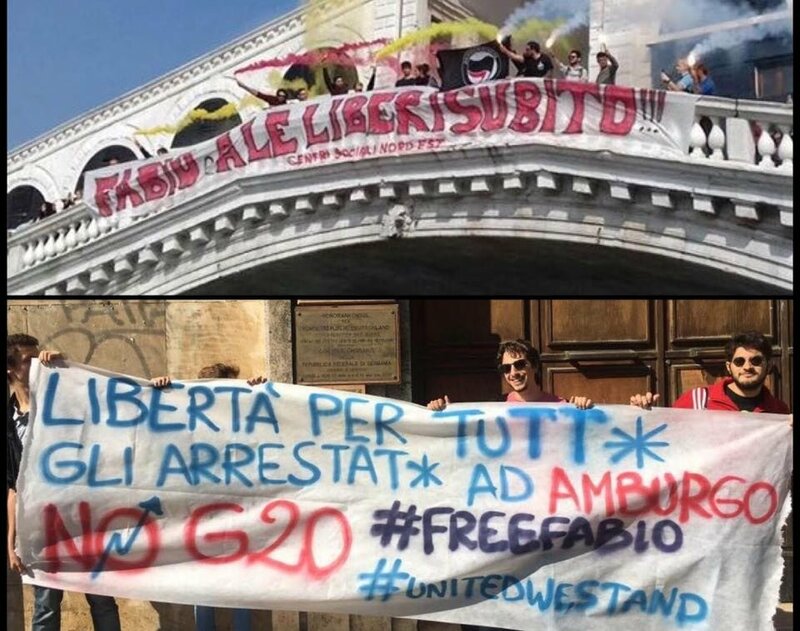 During the morning, in Venice a banner was exposed at Rialto bridge and in Naples in front of the german consulate. During the afternoon in Berlin, Rostock, Münster and Köln there have been outreach activities to lauch the protest meeting of Monday, 16 and Tuesday, 17 at 8.30 AM in front of the local courthouse in Hamburg-Altona, Max-Brauer-Allee 91, at the time when Fabio’s trial begins. In Venice, during the initiative at Rialto, the Ende Gälande’s mobilization during Cop23, that will take place in Bonn, was also lauched.